At Maple Leaf Self Storage, we have a large variety of storage boxes so that you can find size and type that best suits your needs. Whether you are storing your valuable stamp collection or your entire wardrobe, we can help you select the best box solution for your needs. We also have tape and tape guns available so you can seal them securely as well as bubble wrap, wrapping paper and cushion foam for added protection. 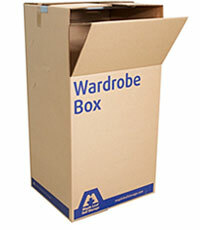 All our cardboard storage boxes are made from over 40% recycled materials and are 100% recyclable. This smaller cardboard box is ideal for all heavy items such as books, wine bottles and kitchen baking dishes. An all-purpose box that is perfect for kitchen sundries, shoes, videos and general household items. This larger box has excellent capacity and is perfect for items such as sweaters, toys and general household items. This larger box has excellent capacity and is perfect for soft furnishings such as quilts, towels, duvets, pillows. Our sturdy wardrobe box keeps your hanging garments crease-free while in storage. A great box for storing clothing that doesn’t require hanging. Suitable for letter and legal sized files, these strong file boxes fold together in seconds with no need for tape.